A 21-YEAR-OLD woman from Kallangur has died after a sedan rolled 'five or six times' on the Bruce Highway near Beerwah yesterday afternoon. Police said that around 5.15pm, a car was travelling south on the Bruce Highway when it left the road for unknown reasons and rolled. Two 23-year-old men, one from Kallangur and the other from Buderim, were also injured in the crash. Both were taken to Nambour Hospital for treatment. Witnesses said two people were flung from their Holden Commodore as it flipped numerous times down the median strip of the Bruce Hwy. An off-duty paramedic and a senior firefighter trained in first aid were at the crash site almost immediately. They treated three passengers with serious head and spinal injuries as ambulances battled peak-hour traffic congested by the horrendous crash shortly after 5pm. It is understood witnesses said the Commodore was speeding at 130kmh before the driver lost control, while another witness is believed to have seen a tyre blow out. The car rolled "five or six times" when it crashed in the median strip about 5km south of the Caloundra exit. At the scene, District Duty Officer Senior Sergeant Peter McGregor said the passengers were lucky to have survived the impact. "If you had been one of the first people who came across this accident you would have thought there would have been a number of people deceased," Snr Sgt McGregor said. The three casualties, two males and a female, all aged in their 20s, were taken by ambulance to Nambour General Hospital. 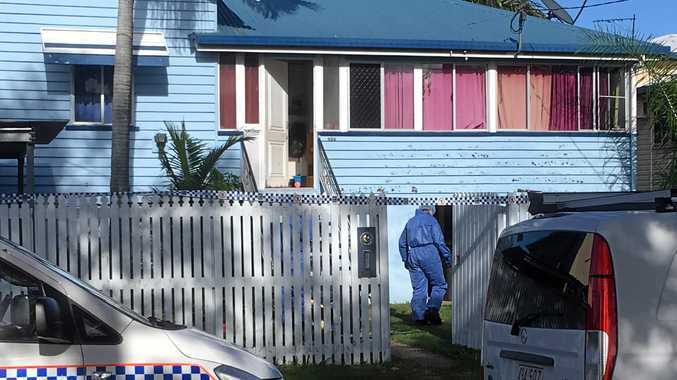 Queensland Ambulance Service duty officer Lee Lulman said the patients were in a "serious but stable condition". Ms Lulman said the passengers suffered "some spinal (injuries) and some head trauma". A menagerie of animals also survived the crash. Two dogs, a ferret and three kittens were taken into care by Sunshine Coast Regional Council. "They're very lucky too," Snr Sgt McGregor said. "They're shaken but they're very, very lucky." "We're just waiting now for council to take possession of the animals." Snr Sgt McGregor urged motorists to slow down following a spate of crashes this week. "It's a busy time of the year ... we urge everyone to drive safely," he said. "Just be patient, take your time and slow down." Crime Learner and his supervising girlfriend both had marijuana in system. Weather We've got the significant totals listed along with today's forecast.